14" Soccer Trophy with free engraving on brass plate. 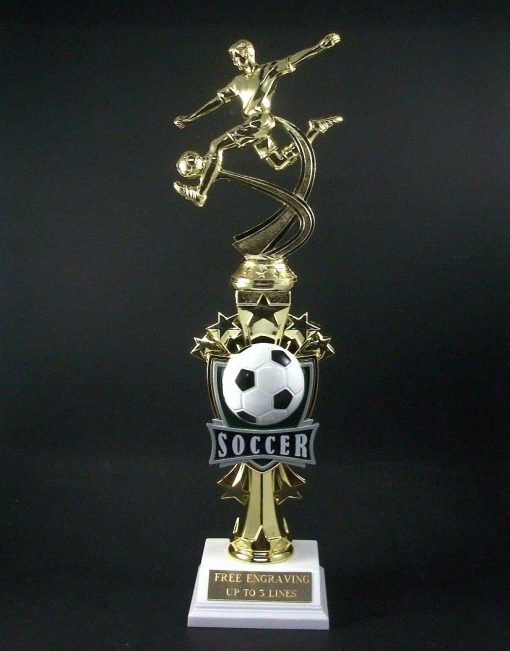 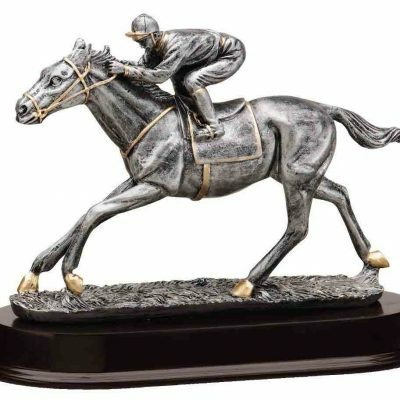 A 14 inch tall soccer trophy .Trophy comes with free engraving with up to 3 lines on burnished brass name plate. 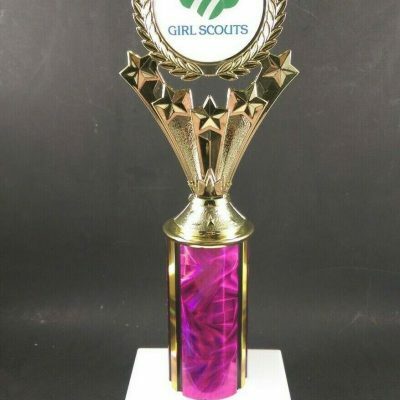 Looking for a cool soccer trophy at a terrific value? 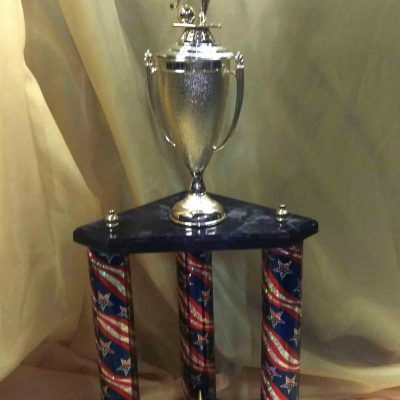 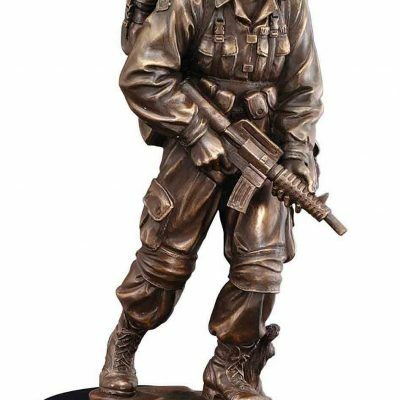 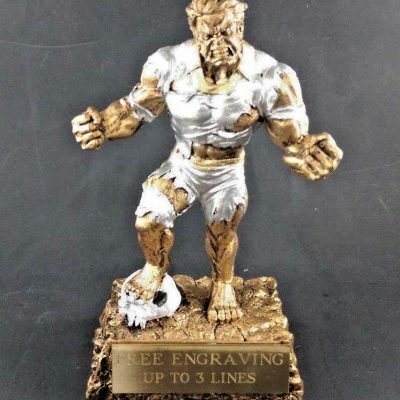 Consider our Boys Soccer Column Trophy for your entire team! 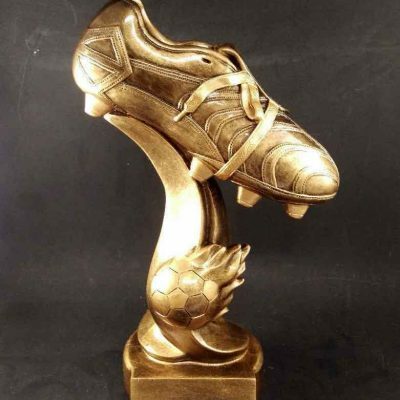 This awesome 14 inch trophy features a golden soccer player boy in action. 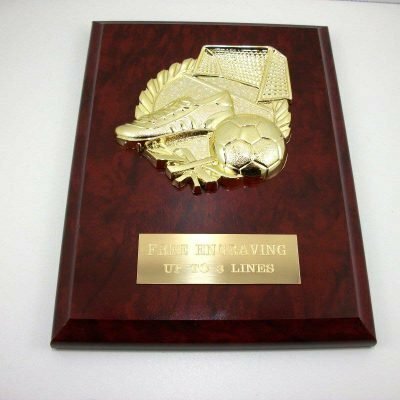 This Soccer Trophy comes with free engraving with up to 3 lines on burnished brass name plate.